Friends, there are just five weekends between now and Christmas! Here in the Artsy Family, we’ve started some of our holiday crafting already, and one of our favorite things to make each year is ornaments. They make such great gifts or gift tie-ons, and everyone can use them. Today, I’m joining in a blog hop with more than 30 bloggers who are all sharing a handmade ornament idea. Recently, I saw an ornament idea on Pinterest where someone took a stick and tied ribbon to it in a way that made it look like a tree. I thought it was so cute, and it also made me think how easy it would be to adapt that to make a tiny wreath. Here’s what I came up with…take a look! Step 1: Form a wire circle. This can be any size you want, and your wire doesn’t have to be green; I just happened to have some so I used it. I wrapped mine around a bottle of chalk paint to get my circle shape, then cut it and twisted the ends together. 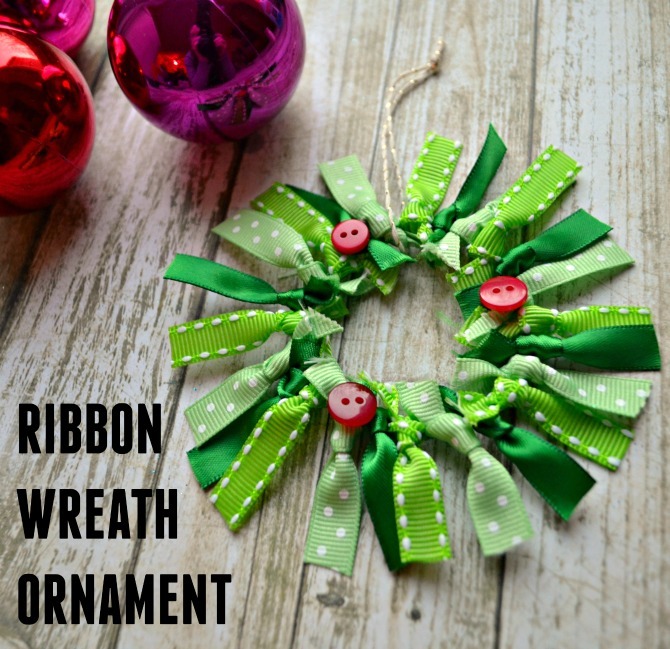 Step 2: Cut pieces of green ribbon and tie each one around your wire. My particular wreath took 24 pieces of ribbon, but that will vary depending on the size of your wire circle. 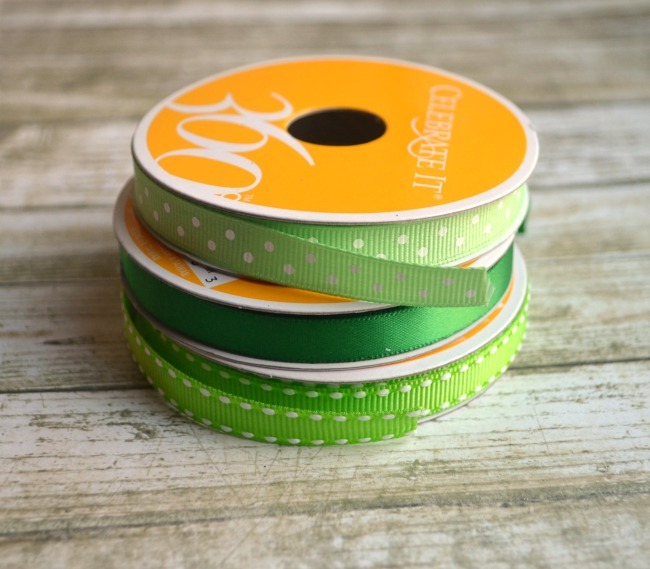 I alternated my three different ribbons in a pattern, but you can be totally random if you like and you can use as many different kinds of green ribbon as you want. Step 3: Trim your ribbons so they’re relatively even in length. Step 4: Add a piece of twine as a hanger and glue several red buttons as berries. Ta-da! You have a mini ribbon wreath! I’m pretty excited about how it turned out, and can’t wait to hang it on our tree this year. Now, here are lots more fun handmade ornaments to inspire you; check them out! Cute! I like how you added the “berries” with buttons. I’m pinning and have your ornament scheduled for a FB share on Wednesday. This is such a cute idea! I have a lot of scrap ribbon around; I could make a few multicolored ones as well (for year round decorating). Thanks for the inspiration! This is adorable! I never would have thought to use the ribbon the way you did. This is such a cute idea, Amy! Love the ribbons you chose.